“Windbreaks” are the protection from the wind that well-placed trees and shrubs can give your home. Windbreaks can save you a lot of money on heating and cooling costs, and the benefits grow as the trees and shrubs grow. If you know how to use landscaping to maximize the benefits of windbreaks in your climate, you can save hundreds of dollars on your utility bills over time. Windbreaks reduce the wind chill near your home. The wind chill is how cold it “feels like” based on how fast heat is lost from skin due to wind and cold. Same for your home, as the wind increases, your exposed home lets more cold outside air infiltrate, making your home colder - and making your heating source work harder to keep you comfortable. With windbreaks, you provide a layer of insulation for your home to protect it from the wind. A windbreak (a tree, or a group of trees or shrubs) will reduce the wind speed for a distance as much as 30 times the windbreak’s height. Reducing the wind speed reduces the wind chill. Reducing the wind chill reduces the heat needed to keep things comfortable in your home. And that’s how your energy bills come down! All these trees and shrubs don’t just keep things cozy, but they look good too. So use windbreaks to make your landscape lovely and keep your heating costs down when the wind kicks up. 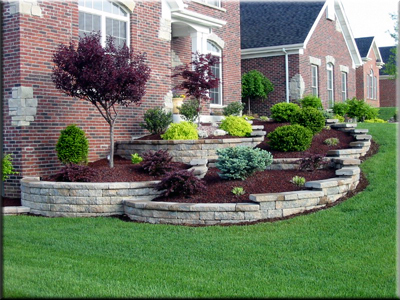 Your local Building Energy Pros affiliate can help you plan your energy efficient landscaping project - and help you make your home more comfortable, durable and energy efficient. Call Building Energy Pros at 1-800-309-6006 or visit www.buildingenergypros.com for more information.